IMG_83084265369, originally uploaded by kimr_55760. 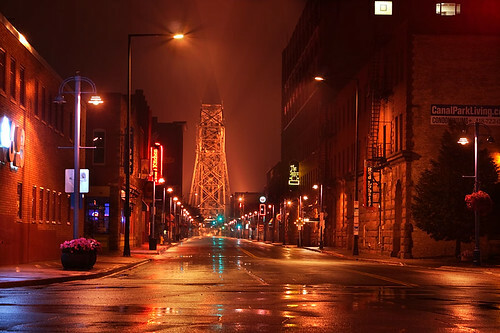 I wish I had a photo of this caliber in my personal portfolio but I can say that seeing it makes me want to spend a weekend in Duluth to personally capture images like this in the amazing Canal Park area near the famous lift bridge. Looks like a scene out of Vanilla Sky. Where are all the people?